Every Thanksgiving it’s fun to see which roses are still in bloom to cut for the table. 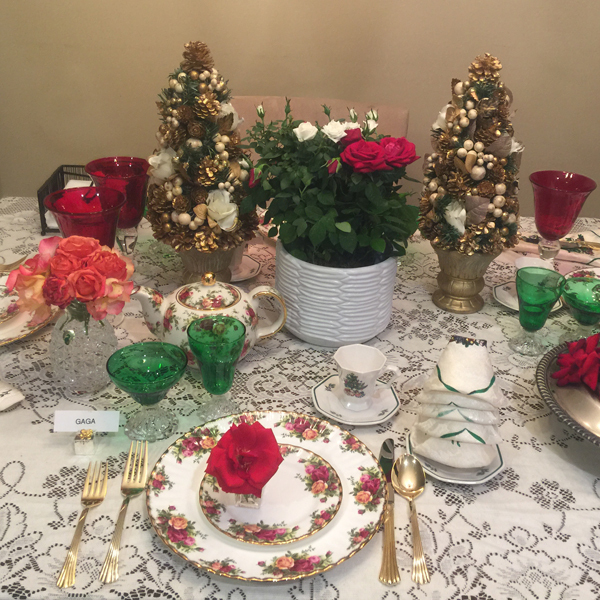 The pink rose bud you see in the little napkin holder in the video that I’ve made to show you how to easily fold your napkins into a rose bud to complete your rose themed holiday table is a late blooming ‘Kimberlina’. Roses are a hardy plant. In most zones in the country where temperatures drop below freezing it takes three days below 21 degrees before roses fully go into dormancy. Don’t forget to check out what your plant hardiness zone is. I like PlantsMap because of the extensive data it provides you. This is the data for my zone in Illinois, plant Hardiness Zone. Each year it’s fun to see which roses are still blooming into November and can be cut for the Thanksgiving table. 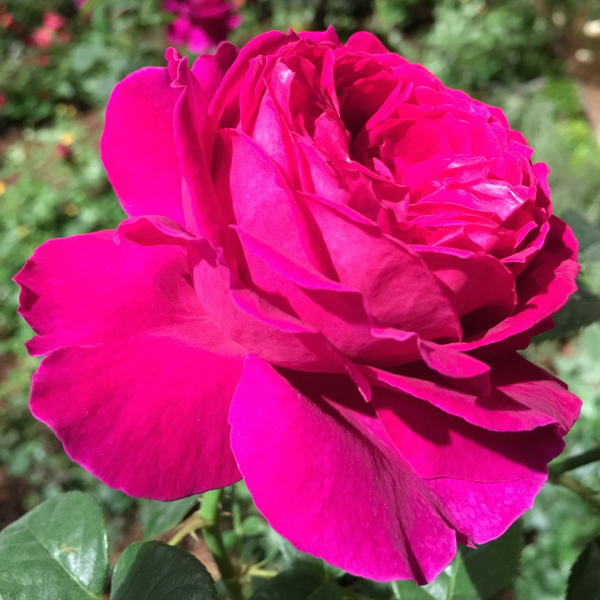 The rose gardens I had before were in Zone 8a 10°F to 15°F, N. Texas and in November there were more roses blooming at holiday time to choose from. Now I’m in Zone 6a. These are the freeze temp ranges for Zone 6a: -10°F to -5°F., Illinois. 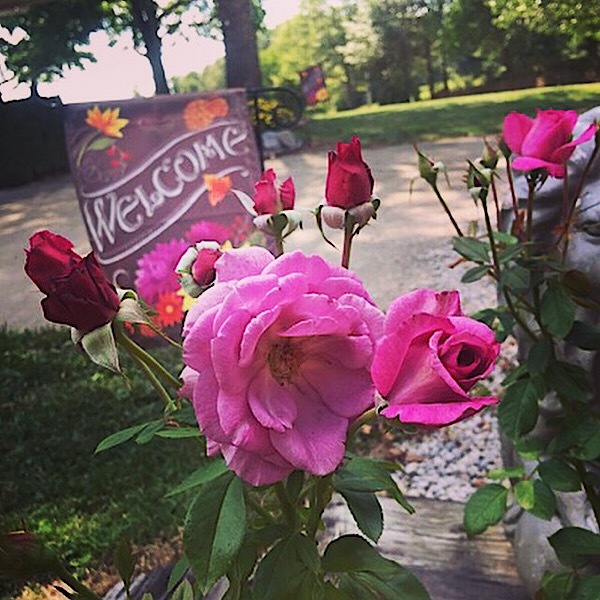 Now in zone 6a, it seems very similar to N. Texas in may ways, but about 10 degrees cooler most days, with very little snow and I still have roses blooming in November to share with you. This is a classic I took on Christmas Eve in Texas. I wrote a post called ‘Room With A View’ about this rose. 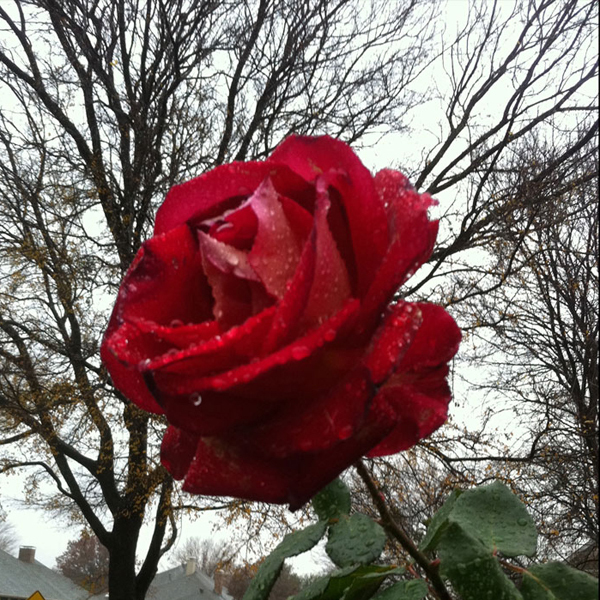 It is part of the natural cycle whereby the rose drops any foliage that could be damaged by freezing temperatures. In a way, the plant begins to create its own antifreeze. The cell sap begins to thicken, helping to prevent the stems from freezing during the cold winter months. 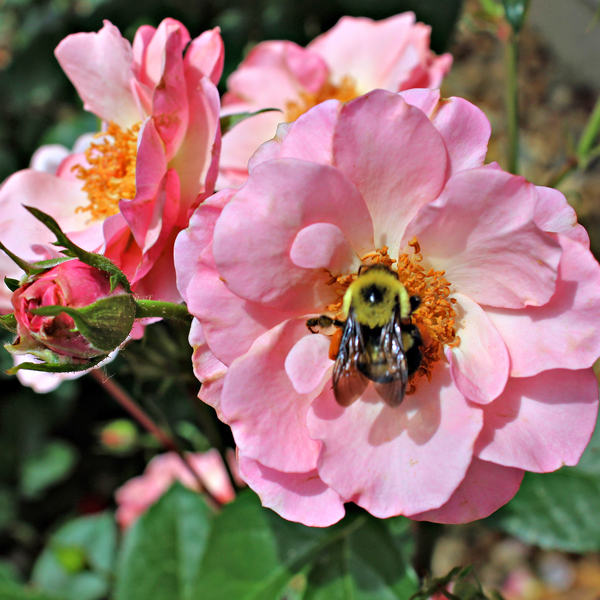 The rose itself goes into an almost hibernation like state where its metabolic systems slow and the nutrients are reserved deep within the core of the rose to aid in bud formation. Start by selecting the tip of a cane the size of a pencil. Grasp the cane and bend it sharply back on itself. A living cane will bend easily and eventually the stem will split showing moist wood within. A dead cane will snap cleanly with very little pressure and appear dry within. The scratch test is another common method. Use a knife or fingernail to scratch the bark on a young twig. If the rose bush is alive, it’ll be green under the bark and slightly damp to the touch. A dead cane, on the other hand, will be brown and hard to scrape in the first place. If you do see brown, work your way down the plant stem, too. Try the scratch test with a lower twig or lower down the stem. The plant may show signs of life as you near the roots. If it does, cut off the dead stems an inch or two above the growth. * I input the words cane & rose bush vs. tree and branch since its the same for rose wood.